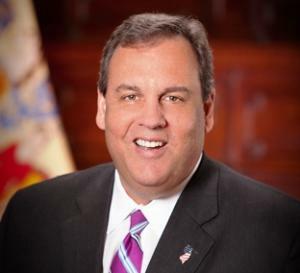 Chris Christie Would Roll Back Marijuana Legalization . In an interview on CBS's "Face the Nation" Sunday, New Jersey Gov. Chris Christie (R), who is seeking the GOP presidential nomination, said he would move against states where marijuana is legal. Host John Dickerson asked if he would "return the federal prosecutions in these states like Colorado, Washington state" and Christie replied "Yes." Dickerson asked him again, and Christie said "Yes" again. Christie also called the drug war a failure and said he favored increased drug treatment. Ohio Official Moves to Block Legalization Monopoly . State Auditor David Yost is floating a proposal designed to invalidate the legalization initiative most likely to make the ballot, or at least a provision of it. The controversial ResponsibleOhio measure would divvy up 10 commercial marijuana-growing facilities to people or groups who have already invested in the campaign. Yost has proposed a constitutional amendment that would require future initiatives that have provisions for "special interests" to undergo a two-stage process. If Yost's amendment passed with more votes than ResponsibleOhio's, it would prevent the monopoly provision of the ResponsibleOhio initiative from taking effect (and very possibly the entire initiative). Click on the link for more intricacies. No Medical Marijuana for Alabama . The legislative session ended last Thursday, and medical marijuana legislation died without action. Again. Louisiana Governor Signs Employee Hair Drug Testing Bill . Gov. Bobby Jindal (R) last Friday signed into law a bill that lets employers drug test employees' hair. Hair drug tests can detect use as far back as 90 days, as opposed to two or three days for urine tests (or two or three weeks for marijuana). While employee drug testing is allowed under state law, there were no regulations for hair drug testing in place until the passage of House Bill 379 . SAMHSA Seeks Comments on Hair Testing For Drugs . The Substance Abuse and Mental Health Services Administration (SAMSHA) has published a request for information about hair testing for drugs as it seeks to update and revise standards for laboratory drug testing procedures for federal workers. Click on the link for more details. UAE Moves to Ban Five New Synthetic Drugs, Three Drug Plants . The United Arab Emirates is moving to ban synthetic cannabinoids, synthetic cathinones, phenethylamine, piperazine and tryptamine, as well as the kava, kratom, and salvia divinorum plants. The Health Ministry has proposed the move, but the Council of State must approve it. Indonesian Experts Call for Evidence-Based Public Health Response to Drugs . A selection of Indonesian experts and academics has called on the government to commit itself to using scientifically proven public health approaches to drug use and to reject hard line but ineffective strategies, such as forced drug treatment and the use of the death penalty. Click on the link for more. Colombia Ex-President Calls for Drug Legalization, State to Provide Drugs to Addicts . Former Colombian President Cesar Gaviria, long a critic of drug prohibition, told the Global Commission on Drug Policy last Thursday that some drugs should be legalized and others provided to addicts by the state. Such moves would allow governments to better control their use, he said. Click on the link for more.